Welcome to our nice and tranquil Kassos Island, the most remote and unspoiled island of the Dodecanese. The Kassos Maritime and Tourist Agency wishes you a very nice time on the island. 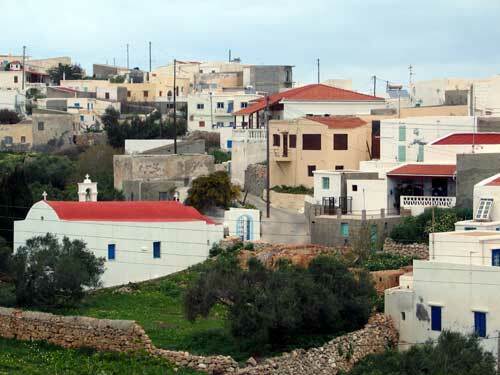 You can visit our picturesque villages or enjoy the beautiful beaches of Armathia Island. Climb the cliffs and visit the remote Patriarchal Monastery of Agios Georgios where time stood still. We offer you walks and excursions and you will get to know the history of the brave Kassian people, who still have their own traditions and are proud on their island. Enjoy a simple meal of fish fished right out of the blue ocean in front of you by the local fishermen, and from the balcony of your appartment watch the sun come out of the sea for another beautiful day of the most perfect and unspoiled holiday of your life. If you would like to get more information about the availability, the location or the prices of one of these hotels, just use our form.